When: Today! Portofino has just opened for the season and the wisteria is in full bloom. Go soon before prices rise and the summer crowds arrive – hotel rates are highest between mid-June and mid-September. It’s not just about saving money, though. In high summer the coastal roads here get jammed with weekend traffic and the quayside is mobbed with trippers arriving by boat. You really must: Take a stroll around the harbour, which is best done in the early evening after the last ferries have left. What was once simple fishermens’ homes are now glitzy boutiques selling luxury brands such as Gucci, Pucci and Loro Piana. There’s nothing you must see – at heart this is a place to have an indulgent and romantic time enjoying Portofino’s top class hotels and restaurants. When you fancy some exercise, there’s rewarding hiking inland on the well-signposted trails of the Parco Naturale Regionale di Portofino (parcoportofino.it). A good one to do is the two-hour walk over to San Fruttuoso, a tiny port only reached by boat or on foot. There’s been a church here since the 7th century, and you can visit its restored Benedictine Abbey (fondoambiente.it) dating from the 10th-13th centuries. Have lunch on the terrace of Da Giovanni (dagiovanniristorante.com), where you can savour freshly-caught local anchovies (£8) and featherlight lasagne al pesto (£9), all washed down with some local white wine, Vermentino Corsi di Luni (£14). You can then take the ferry back (£6.50, golfoparadiso.it). Where to stay: Set on a hillside with terrific views over the yacht-dotted Mediterranean, Belmond Hotel Splendido (double seaview rooms from £1,086 half-board, hotelsplendido.com) is one of the great hotels of Italy. The 69 rooms and suites are spread over five floors and the majority have a balcony. There are restful gardens with venerable olive trees, plus a superb heated infinity pool. Service is faultless with genial staff in café-creme jackets serving chilled prosecco on the vast, flower-filled terrace (try the Belmondino house cocktail made with fresh orange juice and bitters). Bedrooms are fit for a princess with light pastel hues, marble bathrooms, dreamy linen sheets and Frette robes. 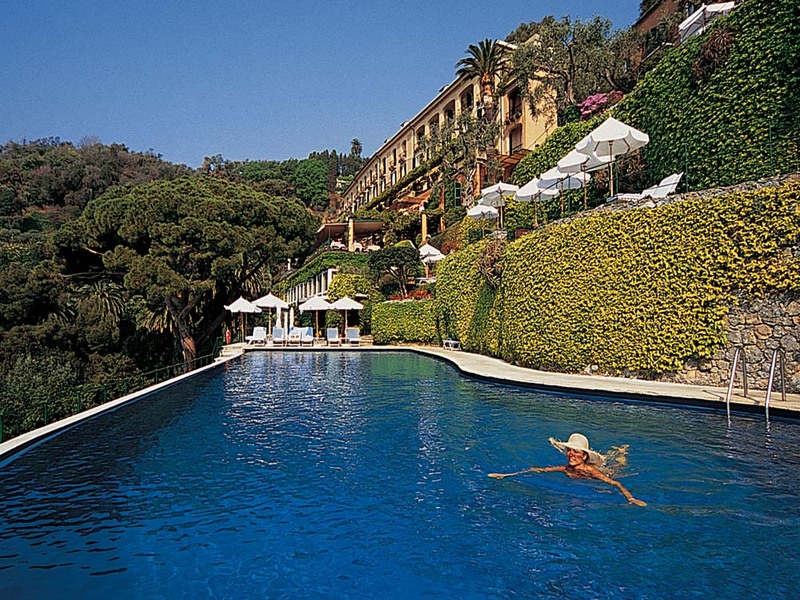 Down at the port, a 16-room sister hotel, Belmond Splendido Mare (doubles from £597 with breakfast) is an equally pampering hideaway. A free shuttle links both properties, and there’s a host of activities and excursions to enjoy including cookery lessons, scuba diving and a half-day tour of Genoa. 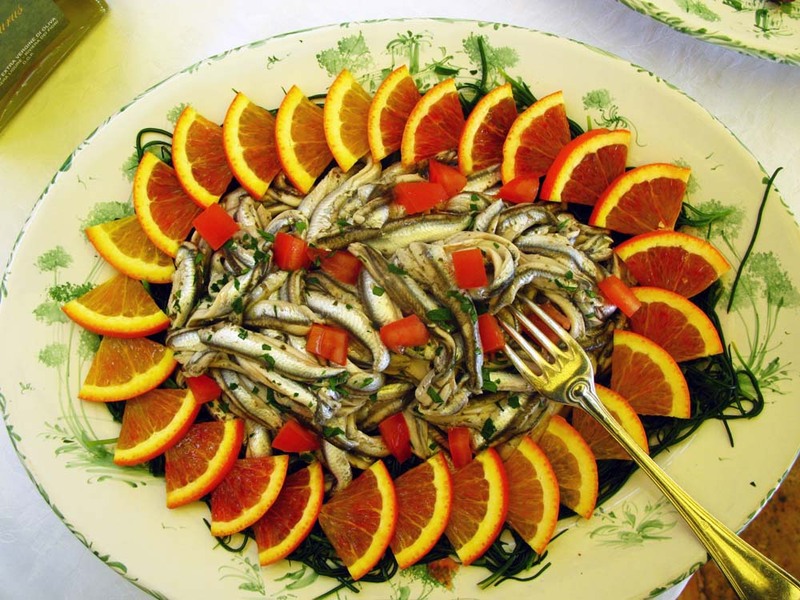 Dine at: Liguria is full of treats for foodies. This is the home of pesto and focaccia, and you should also look out for the light torta (pies) filled with spinach or zucchini, Vermentino wines, and Sciacchetrà, a dessert wine from nearby Cinque Terre. On the harbour, Chuflay restaurant is a good choice for a romantic dinner of fresh local fish baked in salt or with olives and pinenuts (£45). For a real treat, book at table at La Terrazza where you can lunch on Ligurian ravioli with walnut sauce (£29) and a wicked Napolitan version of rum baba (£19) while admiring the heavenly views. Reservations for both through hotelsplendido.com. Bring home: Freshly made pesto sauce and a packet of trofie pasta from Pasticerria Canale (Via Roma 30), which has also been making delicious focaccia since 1911. Book now: British Airways (ba.com) flies from London Gatwick to Genoa, from £83 return. A taxi to Portofino takes around 45 minutes and costs £99 one-way. 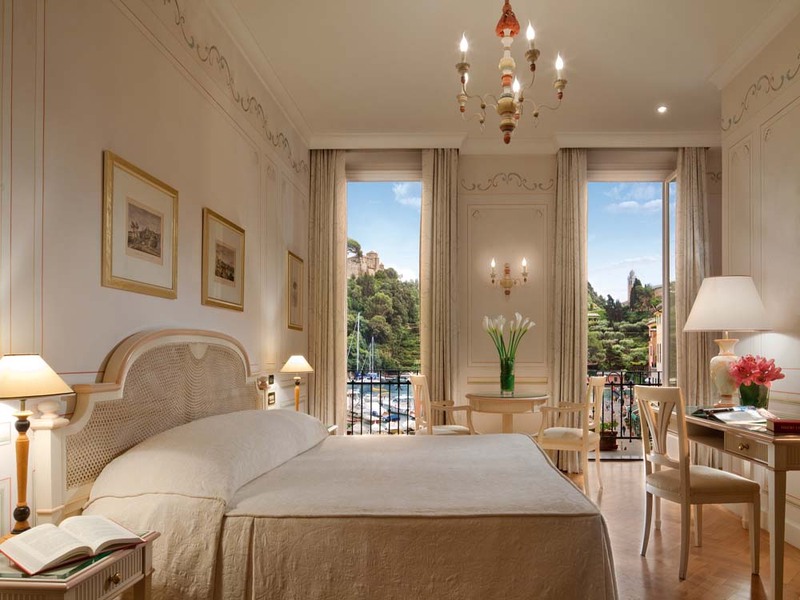 Elegant Resorts (01244 897 771; elegantresorts.co.uk) offers a three-night break staying at Belmond Hotel Splendido in early June from £1,335 per person including flights, transfers and breakfast. Info: Liguria (£15.99; Bradt) covers the region, for tourist information see turismoinliguria.it and commune.portofino.genova.it. Get in the mood by watching Enchanted April, a 1991 film about four women renting an Italian villa in 1922, which was shot at Castello Brown (castellobrown.com), overlooking the harbour.